If you've been following for a while, you know I'm not shy when it comes to gettin' my glow on. Highlighter is a girls best friend when it comes to makeup, and I love a touch of shimmer on the eyes. There's something so magical about having the sun reflect off your cheekbones. 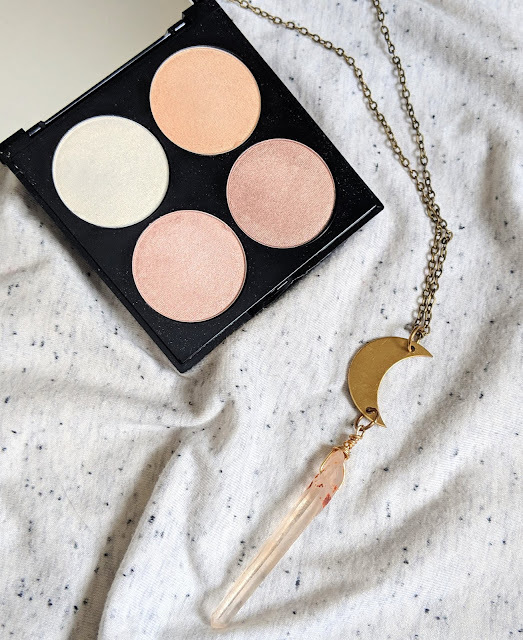 I was fortunate to receive some new-to-me goodies from the folks at Revlon, and they challenged me to create a look for their Mythical Lights trend. Think metallic, shimmery goodness (right up my alley, basically). 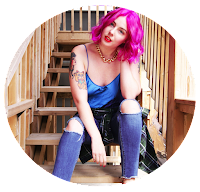 Revlon sent over products from their Colorstay & PhotoReady collections for me to play with. Keep reading to see how each product performed. I had lots of fun playing around with the products and used them all to create a shining, shimmering, sensational look!! 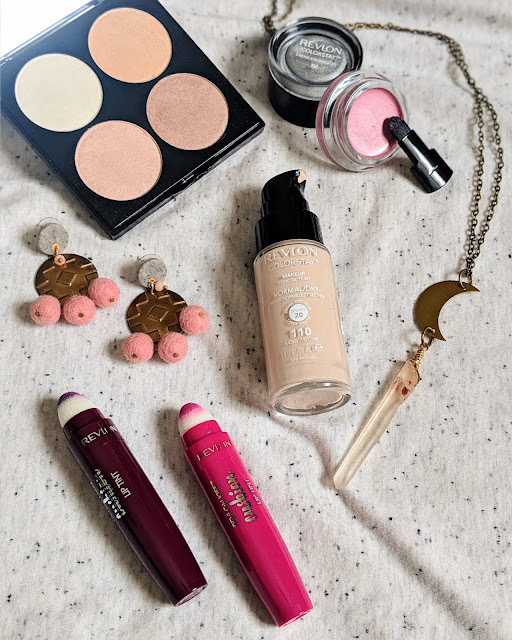 But before I show you my magical makeup creation, let's dive into the products I received with a quick review. 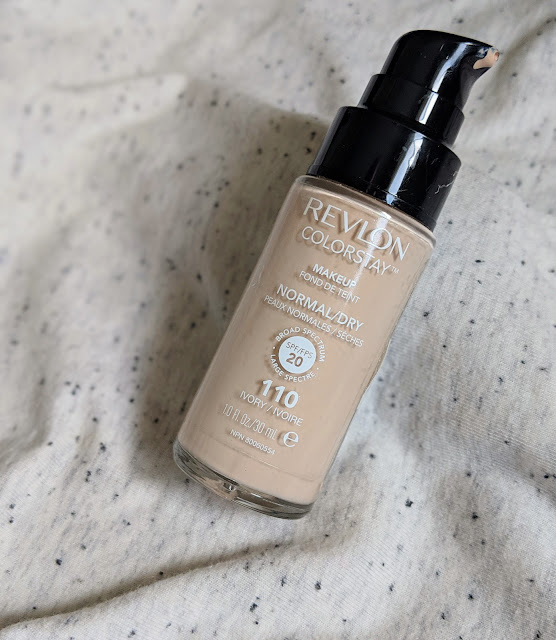 This foundation has a watery consistency but spreads across the skin very easily. While the finish is matte, it isn't flat; it looks very natural (think your skin, but much better). That said, it will cling to dry patches if you have any. So be sure to have your skin well hydrated and use a moisturizing primer beforehand! 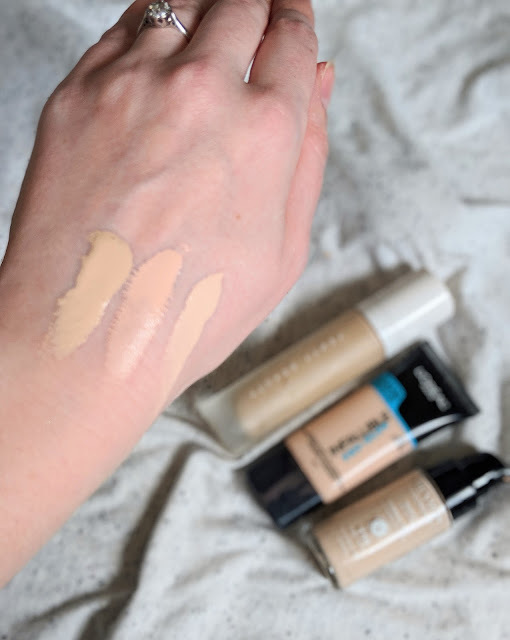 As you can see from the image above, the shade '110 - Ivory' is the slightest bit too light for my skin tone, but it's nothing that a little bronzer can't balance out. It totally evened out the redness in my skin, and lasted all day long without breaking up or oxidizing. I love that this also has 20 SPF so it'll be great for the summer months ahead! They also make the same foundation in an Oily/Combination formula if that is more suited to your skin type. These have to be the most comfortable lip stains I've come across. They give my lips this bright & juicy appearance that I love. They have the slightest hint of shimmer to them, which helps give the stain more dimension. I even like to amp it up with a touch of gloss if I'm feeling extra. The velvet applicator makes for an easy, buildable application. They don't dry down completely though, so it will transfer. But I find that with wear the stain fades evenly and beautifully; no streaky, patchy mess! 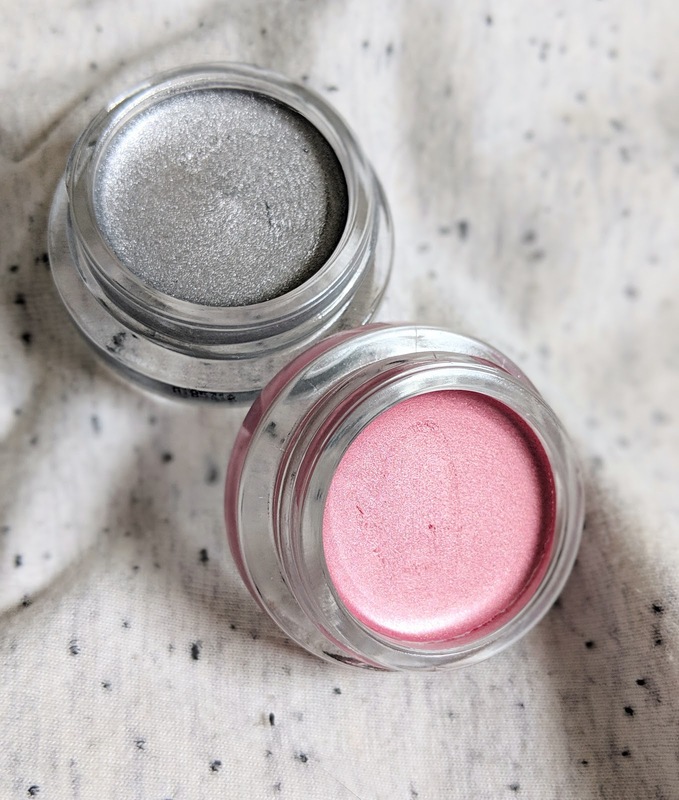 use them as a cheek stain (just use a light hand and blend quickly because these are pretty pigmented)! I was a bit worried these shades would be too dark for my pale complexion given that they are on the warmer side, but I was pretty easily swayed by the first swatch. 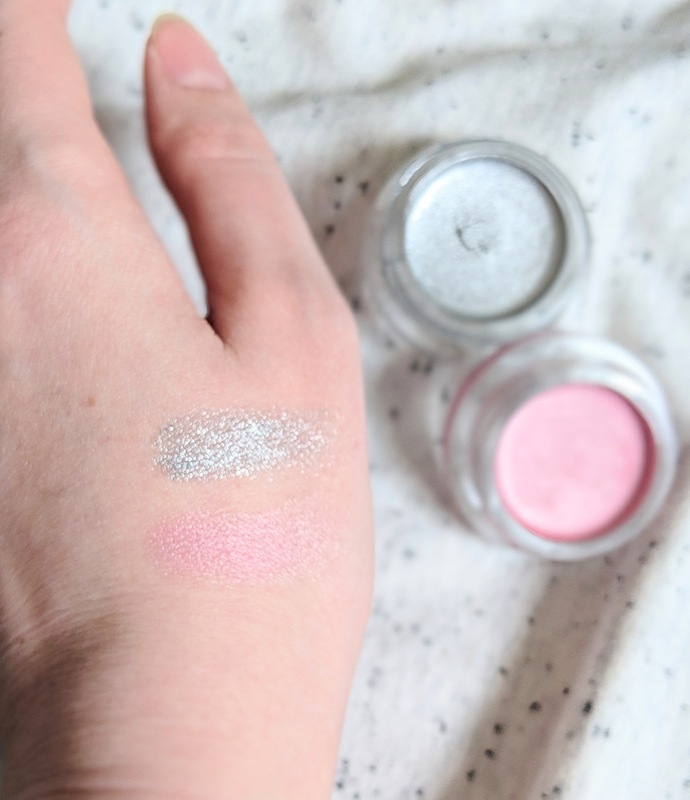 It definitely delivers the sunlit glow it promises; the shades aren't too glittery, but they give a nice wash of shimmer. Beautiful, warm-toned goodness from this palette! That second last rose-gold shade has my heart. My only critique is that they are a bit powdery, so you'll get some kickback on the pan, but they aren't chalky by any means. Just buttery, blendable goodness! They even wear quite nicely as eyeshadow, so you can definitely have fun playing around with this palette! These weren't my favourite, unfortunately. They're loaded with glitter, and I'm more of a shimmer gal, personally. But If you want just a little budget-friendly bling, you might really enjoy these! I like that they come with their own little brush tucked into the lid, but I prefer to use my fingers to warm up the product and blend it out onto the lid. They didn't crease and while the pigment did fade throughout the day, the glitter held strong without falling out under the eye. Shades 760-Earl Grey & 745-Cherry Blossom. 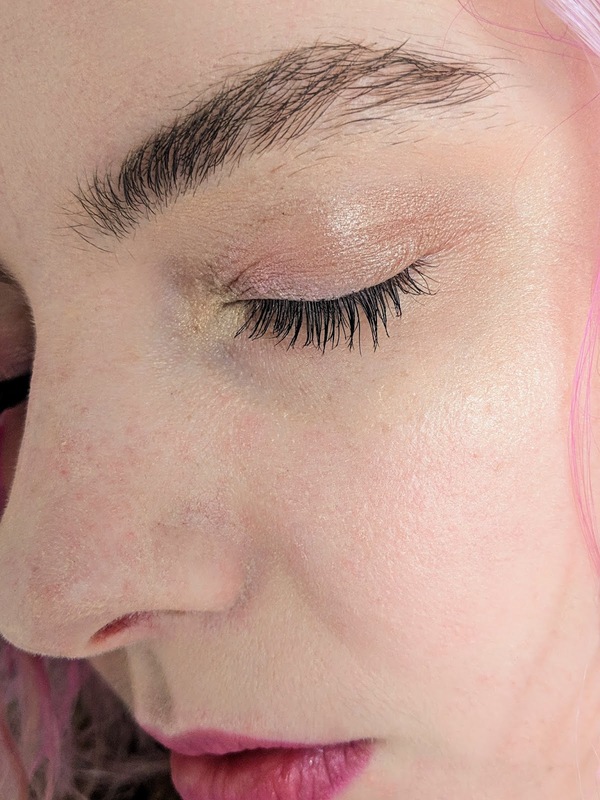 I'm a little bummed that Cherry Blossom isn't as pigmented, but it's still a gorgeous blush tone! 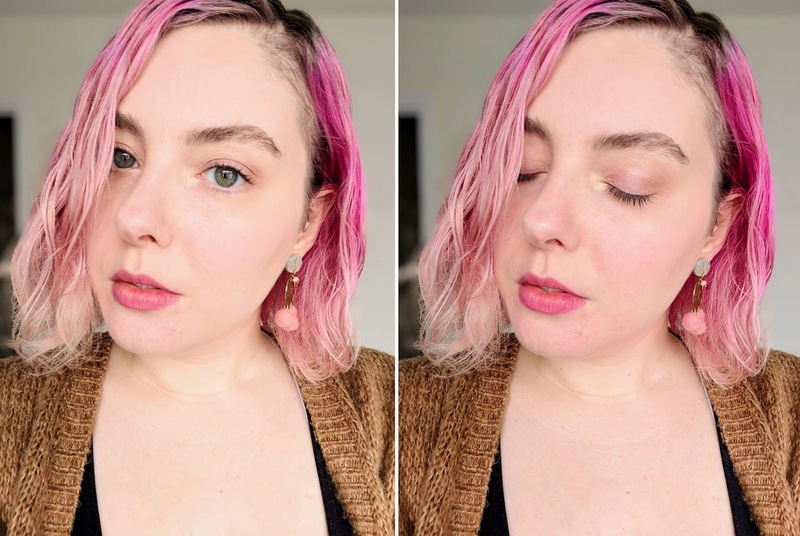 Without further ado, this is the look I created with all of the products above! 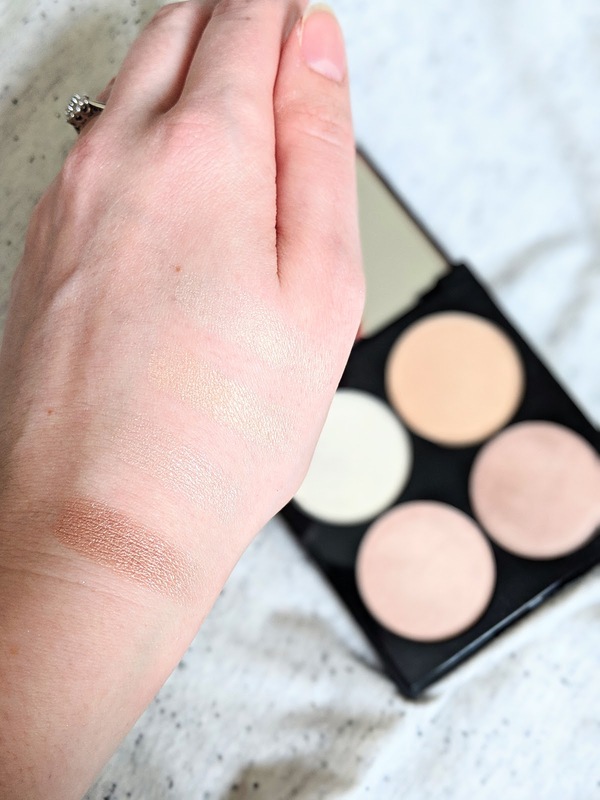 For the eyes, I used the darkest shade from the Sunlit Dream palette in the crease, patted the Colorstay Creme Eyeshadow in Cherry Blosson on the lid, and the lightest shade from the Sunlit Dream palette on the inner corner. I used the Kiss Cushion Lip Tint in shade Berry Lit as a blush by dabbing it on the apples of my cheeks and blending it out quickly with my fingers (I blended it further with a damp beauty sponge to make it more subtle). 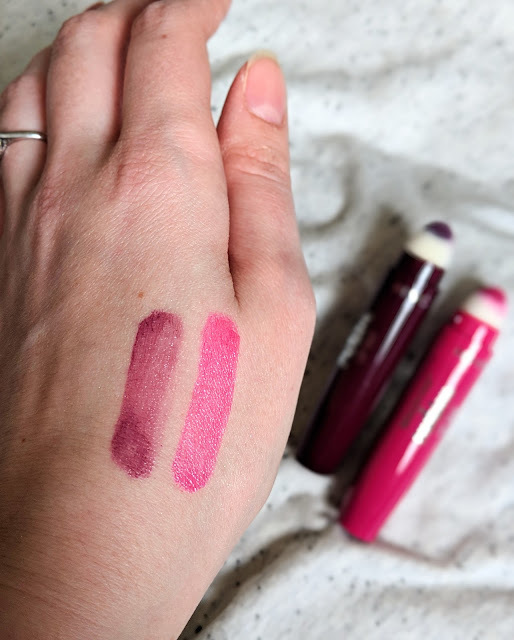 For the lips I used the both Kiss Cushion Lip Tints (Extra Violet around the outer rim and Berry Lit on the middle, and blended them with my finger). How's that for a glint in your eye?! I love how reflective the highlighter shade is! What do you think of my Mythical Lights makeup look? 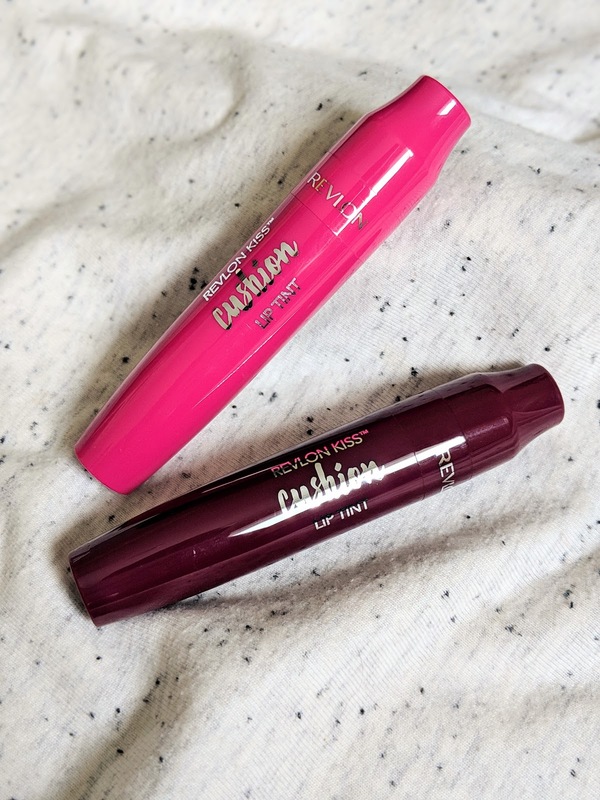 Will you be adding any of these Revlon products to your collection? Leave me a comment! love these products - great review! you look great ! Thanks so much! I'm glad to hear these are a favourite of yours!